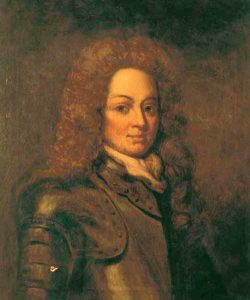 Major George Rawdon, (1604-1684) came to the area in 1631 to manage the Estate of Viscount Conway at Killultagh. He built the Garrison for soldiers at Aghalee. We call the place Soldierstown. The garrison was close to the site of Soldierstown church. 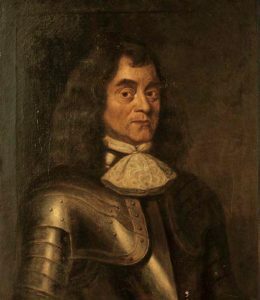 There was a Rebellion in 1641-2, when the armies of Sir Phelim O’Neill attacked Lisburn. 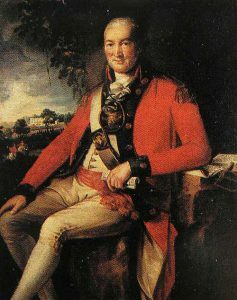 George Rawdon, with an army of 200 Englishmen fought off the enemy. Twice he escaped death (in Lisburn 1641 and in Armagh 1642) when in each battle his horse was shot from under him. Rawdon received large grants of land, particularly O’Lavery’s lands and property in Dublin, as a reward for saving Lisburn. Rawdon was responsible for the early growth and development of Lisburn after the Rebellion. He also bought the Ballynahinch estate known as Montalto around 1660. He built a magnificent house which still stands today and over the next twenty years he rebuilt Ballynahinch from scratch, erected cornmills, and laid out the market square. But Moira was always a special place for the Rawdon family. Arthur Rawdon – Copyright owner still to be found. Rawdon was seriously wounded in the trenches in Portglenone, yet still led his men through tremendous battles and eventually was besieged in Derry. (1688-1689) There he became dangerously ill. He still played a very important role in the events of that siege but because of illness he had to escape and he returned to Moira. He gave up being a soldier and set about developing the Moira estate and became Sir Arthur. Sadly Sir Arthur lived only a short time to enjoy the garden he created and loved, for he died in 1695 on his 33rd birthday. Sir Arthur’s successor was Sir John (1690-1723). Throughout his short life he had much ill health, owing to tuberculosis. He was buried in the family vault underneath the newly consecrated Parish Church – perhaps the first burial there. 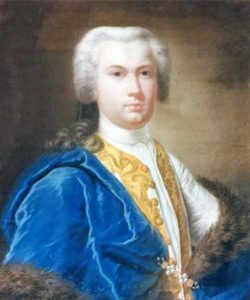 His son, also called John, (1720-1793) was born in the castle and inherited the estates at the age of three. 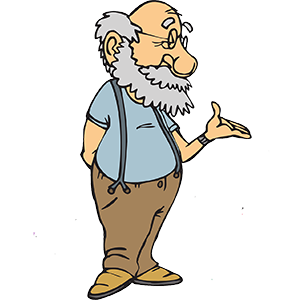 He is the one credited with the development of the village, though if dates are correct; it is more likely his father was the prime developer. It is generally accepted the village was completed in 1735 at which point young John was only 15 years old. John was also knighted and later became Earl of Moira in 1762. This first Earl was a well known figure in Irish Government circles. Around 1770 the castle was let to Colonel William Sharman, Irish M.P. for Lisburn. The Sharman family lived here for only a short time. A son was born here and became a very notable and radical politician called William Sharman-Crawford. William Sharman by Thomas Robinson © National Museums Northern Ireland. In 1800 the Demesne was purchased by the family of Sir Robert Bateson. Mr Bateson was MP for County Londonderry. He owned Belvoir Park in Belfast. He resided there; it is likely that Moira Castle was a ruin by this time. His son Thomas became Lord Deramore in 1885. The Bateson family built the new Market House in 1810 and their crest is prominent on the building.